Competitive gamers asked for the ultimate gaming pc and Dell’s new Alienware Aurora gaming desktop computer, unveiled today, delivers. It is the company’s most advanced desktop ever delivering the extreme gaming performance and experience game developers intended for their players. With the latest technology and intelligent design, gamers can envelop themselves in the action, experience blazing fast performance and immersive graphics. 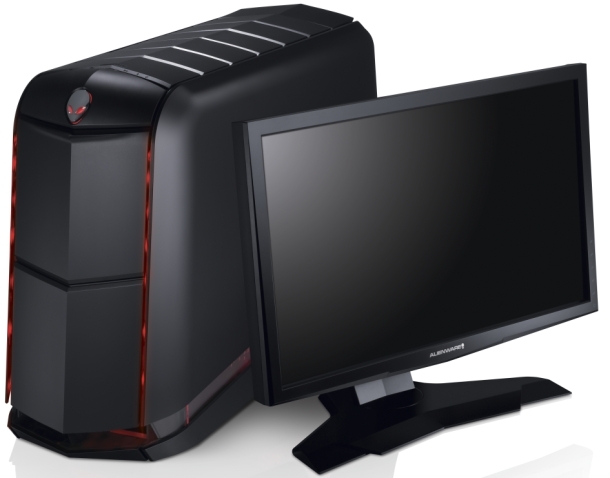 • The Aurora desktop delivers the pure, raw power that gamers crave. The systems come loaded with the new 2nd generation Intel® Core™ i7-3000 series six-core CPUs, factory overclocked1 and liquid cooled, with the Intel X79 Express Chipset (Dell’s first consumer system to offer this chipset), Quad Channel DDR3 memory and the latest SATA technology. • Gamers can literally “see” all that power firsthand. Dual graphics cards and beyond 1080p gaming with immersive multi-display and 3D HD capabilities allow gamers to experience any game at its best – as intended by the game developers. • And the gaming desktops are intelligently designed for unparalleled customization. In addition to raw power, an innovative chassis design and intuitive internal component layout allows for user-friendly upgrades and optimized thermal management. The desktop’s maintenance-free, high performance CPU Liquid Cooling replaces the standard heat sink and fan that comes with most PCs, and its Active Venting system provides additional heat dissipation during heavy gaming. This unique design increases component longevity and allows Aurora to stay nearly twice as quiet as competitors with traditional heat sink and fan layouts. Additionally, all core components inside the Aurora are purposefully compartmentalized in chambers that provide clean, clear and easy tool-less access for upgrades, maintenance or showing off. Supporting AMD CrossFireX technology, Alienware Aurora is capable of housing two graphics cards for maximum performance and extreme graphics power. All Aurora graphics cards use GDDR5 graphics memory, the most advanced offering available. With Microsoft’s DirectX 11 graphics API, complex virtual worlds will come alive. All Alienware laptops and desktops come complete with the Alienware Command Center, which provides intuitive, user‐friendly access to exclusive applications and controls, including AlienFX lighting effects, Thermal Controls and AlienFusion power management system. AlienFX allows users to customize the exterior lighting zones on the chassis with over 25 billion color combinations for a one-of-a-kind personalized experience. Updates and new releases download directly into Command Center, creating a constantly evolving tool for users to modify and personalize their gaming computer. 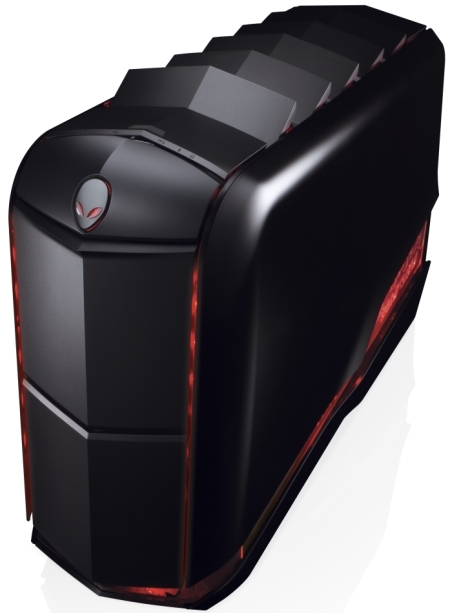 Alienware is recognized throughout the industry and with customers alike for performance, functionality and design. The Alienware M17x gaming laptop with Intel Sandy Bridge processors recently won Gold in the Gaming category for “The Best Products of 2011” from PC Magazine, and the Alienware M11x R3 laptop won Silver. As new technology is released, look for Alienware to continually offer the latest in PC gaming hardware, partnering with other industry leaders to deliver an optimized gaming experience. Alienware Aurora is available now on Dell.com with a starting price of $2,199.